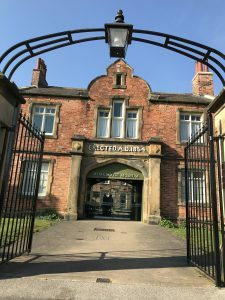 Claro will host a YHOA Urban League event from The Workhouse Museum in Ripon on Sunday 26th May 2019. Ripon is a fascinating small city with a magnificent Cathedral, intricate old streets, river and canal. At a map scale of 1:4000 maximum use can be made of the centre. A considerable new area has been added for this event (map being fully updated and extended by Quentin Harding). Also new for this event is our assembly area inside The Workhouse Museum with its complex of old buildings and gardens. The junior courses will use this and neighbouring low traffic areas. The Start and Finish will be within the Museum grounds along with indoor space for registration and bags, toilets and a cafe. Of course your control is on the other side…. If you have run in Ripon before, expect the unexpected! 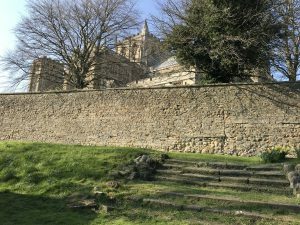 The Workhouse Museum, the other Ripon museums and the Cathedral are well worth a look round at a slower pace after your run. Final Details will be added before the event so please check again before travelling. The number 36 bus provides an excellent service from Leeds and Harrogate. Ripon bus station is a short walk from the assembly area. For those driving and approaching from the north, east or south, the city centre is best approached from the roundabout intersection of the Ripon bypass (A61) and the Boroughbridge Road (B6265). The nearest public car park to assembly is a pay-and-display at St Marygate (HG4 1LX) – see details. From the bypass/Boroughbridge Rd. roundabout go west into the city, after 800m, at the first roundabout turn right onto Bedern Bank which swings right past the Cathedral and then left onto St. Marygate. The car park is about 150m on the left. There is also a pay-and-display at Booths supermarket (HG4 2BT) (see details): from the bypass/Boroughbridge Rd. roundabout proceed west into the city for about 1km and at the first traffic lights turn right up High Skellgate. At the T junction (150m) turn left; at the next T junction (150m) turn right; at the mini-roundabout (150m) turn right onto Marshall Way. The car park is 100m on the right. Approaching from the east via the B6265 turn right at the mini-roundabout on the edge of Ripon to stay on the B6265. For Booths car park: at the traffic lights after 1km, turn left and follow instructions above. For St. Marygate go straight on at traffic lights for about 200m to a roundabout and turn left then follow instructions above. ENTRIES: Entry on the day only (EOD). ELECTRONIC PUNCHING. SportIdent (SI) punching will be used for all courses. Hire dibbers will be available. Controls will be enabled for touch-free punching for those with SI Air dibbers; SI Air competitors will however still need to punch the start and finish controls. Those without SI Air dibbers will be able to punch as normal at all controls. Controls will be grippled however NOT through the punching hole so you will be able to punch with ease. Anyone can run any course except -16 who can choose G or H and -12 who can only run H.
YHOA Urban League courses are as follows. Further course details will be added nearer the event date. The course lengths are currently provisional. The climb is modest on all courses. MAP: 1:4000 scale with 5m contours for all courses; printed on waterproof paper. The longest courses will probably have 2 sided maps. Courses G and H may have a larger scale. Map updated and extended by Quentin Harding in 2019. Adjacent to assembly area in the garden of The Workhouse Museum. FACILITIES: Toilets will be provided. Room to leave bags. Please support the Museum cafe which will be providing a range of food and drinks. SAFETY: A comprehensive risk assessment will be carried out by the organiser, but competitors take part at their own risk and are responsible for their own safety. If travelling alone, please leave your keys at registration. All competitors who start must report to download even if they retire. In the unlikely event of cancellation, details will be posted on the Claro website – www.claro-orienteering.org.uk. Information can also be obtained by phoning the organiser. used for the purposes of this event and can be collected or will otherwise be deleted/destroyed afterwards. INSURANCE: Please note that if you are not a member of an orienteering club affiliated to British Orienteering then you are not covered by our public liability insurance except if you are a newcomer to orienteering, in which case you are covered for three registered orienteering events without joining. Please ask any of our club officials for more information if you would like to join CLARO. video, zoom or close range photography should register their details with the organiser before carrying out any such photography. The organiser reserves the right to decline entry to any person unable to meet or abide by the organiser’s conditions.